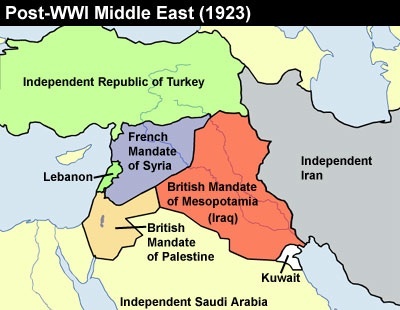 After almost a century, the seeds of the on-going death, destruction and violence in the Middle East that began during WWI can be directly traced to two historic documents that continue to provide the foundation for US foreign policy in the Middle East. Almost one hundred years after the flawed Sykes-Picot and Balfour documents, the tragically long suffering peoples of Iraq and Palestine, both betrayed by the British in 1916, still live with a sorrow and anguish that offers little hope for peace and reconciliation. More than just a mere historic misjudgment, the McMahon-Hussein letters of 1915 bear witness to the role of deliberate British deception throughout the annexation of Palestine and its ultimate treachery during the Arab revolt (1916 - 1918). Led by the Sharif Husayn bin Ali, the revolt was initiated to secure Arab independence from the rule of the Ottoman Empire and to create one unified Arab state spanning from what is now Aleppo, Syria, including Iraq and stretching to Aden, Yemen (not including the area controlled by the rival Saud clan). As British Statesman Lord Robert Ashburton Crewe wrote in 1920, “What we want is not a united Arabia but a weak and disunited Arabia, split into little principalities ....incapable of coordinated action against us” - and splitting Iraq and Syria into an Islamic State is exactly what Abu Bkr al Baghdadi and ISIS are attempting - one hundred years too late.